The major impetus for the design and execution of Constrictive Pericarditis and Cardiac Tamponade: Epidemiology, Causes and Management has been the extraordinary wave of breakthrough discoveries in the diagnosis and management of pericardial diseases over the past few decades. Modern advancements in cardiac imaging, including tissue Doppler imaging, cardiovascular computed tomography (CT), and cardiac magnetic resonance imaging (MRI), have allowed for increased accuracy and earlier detection of both constrictive pericarditis and cardiac tamponade. 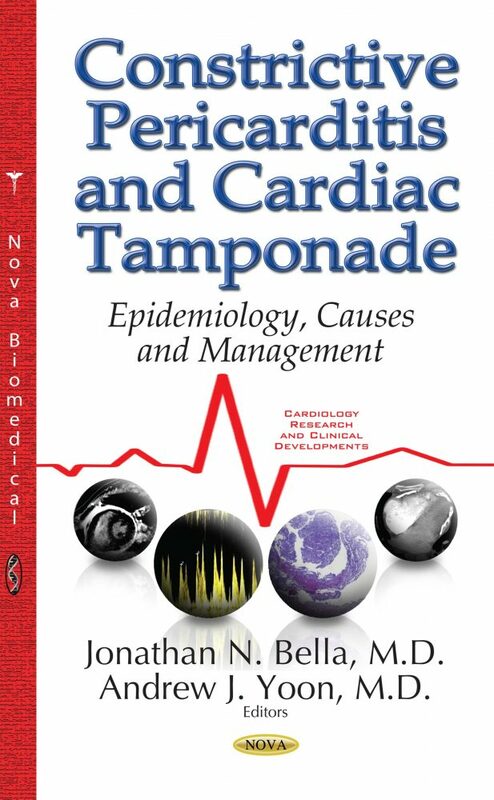 This book is designed to summarize and critically analyze the current understanding of these disease states for a broad audience of internists and cardiologists. There are an abundance of books, review articles, and internet sources that do an excellent job of describing the physiology/pathophysiology of the pericardium and the many pericardial diseases. Constrictive Pericarditis and Cardiac Tamponade: Epidemiology, Causes and Management differs from those other sources in that a conscious effort was made to present the information in this textbook in a “how to” format, with the chapters and text structured in such a way as to provide the reader with a clear step-by-step narrative. Clinical signs and symptoms are reviewed in detail first, followed sequentially by echocardiographic, CT, MRI, and invasive hemodynamic findings. High-quality images, figures, and illustrations were also specifically chosen and arranged to accompany the text in order to provide easy visual reference for the reading physician, whenever the diagnosis of pericardial disease is relevant to their patient’s care. As such, this book seeks to provide reassurance to clinically-oriented internists and cardiologists when caring for patients with suspected pericardial disease.